When recovering from addiction, it’s important to be able to get the care you need when you need it most. That’s why our top-rated Suboxone clinic has a full-time support staff to answer your calls 7 days a week. For first-time patients, appointments can be scheduled Monday through Saturday and we are now offering same day availability for your convenience. You’ve been through a lot – we understand that. That’s why the minute you walk through our doors, you’ll be welcomed with open arms into a family who genuinely cares. We truly recognize the amount of pain and suffering you’ve had to endure and understand addiction is a daily struggle that can be extremely tough to fight alone. Our individually tailored Suboxone treatment program is here to provide you with the immediate comfort and energy you need to start feeling better today. Combine that with all the support you receive from our compassionate team of experts – addiction doesn’t stand a chance. You’ll be provided with all the guidance, tools and motivation you need to win the long-term battle and achieve sustained sobriety. One thing all our patients have in common is a desire to get their life back to the way it was before addiction, yet one thing that makes them all different is their unique history with what got them there in the first place. Our hope is to better understand that story – not to judge it. We want to fully grasp what that journey with addiction was like, so we can provide you with a comprehensive set of directions to safely and comfortably get you back to that life of sobriety you once had before. No one here is to blame. You’ve already displayed the strength and courage it takes to ask for help, we believe in providing you with nothing short of the utmost respect in return. You deserve it. One of the main reasons we have such great success with our buprenorphine treatment program is because we believe in treating opiate addiction with more than just a prescription of Suboxone. Our approach is about getting to know more about you as an individual, so we can determine some of the underlying reasons that drove your addiction in the first place. 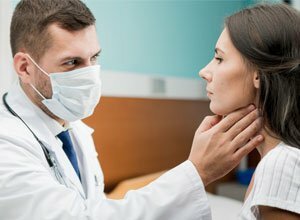 Once we have a better understanding of all your medical, personal and emotional needs, our certified physicians will help determine the best course of treatment for you. At Southern Ohio Recovery Group, we believe our Suboxone treatment programs are often only the first step in our patient’s journey towards sobriety. For this reason, we’re committed to guiding you throughout your entire recovery process. You’ll never be alone in this – we’ll be here to support you every step of the way. Southern Ohio Recovery Group is one of the top ranked facilities in the country for opiate addiction and is a premier provider of Suboxone treatment. Our Cincinnati East location is the perfect recovery center for those individuals seeking an immediate solution for combating the challenges of addiction. We understand how addiction can often leave its victims feeling disheartened and powerless to their situation. 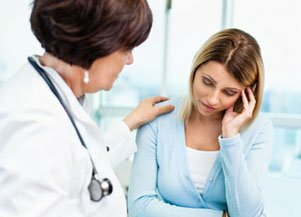 With our unique approach and excellent medical professionals who are among the best Suboxone doctors in Cincinnati, our practice helps patients fight back against opiate withdrawal and regain the strength and confidence needed to take on the world addiction-free once again. Suboxone® is an FDA approved medication for the treatment of opioid addiction designed to alleviate the side effects of opiate withdrawal. The most common methods of delivery are Suboxone pills and Suboxone films, which dissolve underneath the tongue. 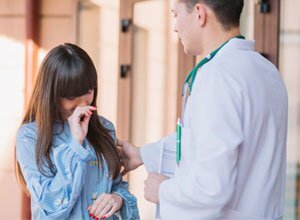 The unique Buprenorphine Naloxone formula helps patients lessen their physical and mental dependence on the drug. Buprenorphine is a partial opiate agonist and is balanced out by Naloxone, an opioid antagonist, which provides patients clarity of mind while they navigate their road to recovery. Because of its unique formula, Suboxone is considered to be much safer and more effective than methadone. We do not dispense any medication at our Suboxone Clinic. Cincinnati Suboxone Clinic has partnered with most major insurance providers so you have access to the effective and affordable treatment you deserve. Making the choice to better your life and find freedom from the pain of addiction is now even easier as the majority of the costs of treatment are covered by your insurance plan. To know more about your individual insurance coverage and how it will impact your treatment costs, please call [NUMBER] to speak to one of our intake specialists. Your safe recovery is our top priority, and we don’t want any financial concerns to get in the way of the treatment you need. If you don’t see your insurance listed, that does not mean we do not accept it or that you will not have at least partial coverage. The best way to know what your insurance will cover is to call us at [NUMBER] for guidance from one of our specialists. There are three components to our Suboxone treatment program. The exam with the doctor, the lab-work and of course the medication. Depending on your policy, your insurance will typically cover all or the majority of all the costs related to the items mentioned above. WILL THERE BE ANY OUT-OF-POCKET COSTS? Any out-of-pocket costs or co-pays will depend on your individual situation and insurance coverage. We are committed to ensuring your treatment is not only successful, but also affordable. The cost of addiction treatment is not just another bill. It is an investment into your own health and quality of life. Please call us so we can help you on your path to sobriety. Copyright © 2018 Cincinnati Suboxone® Clinic. All Rights Reserved.